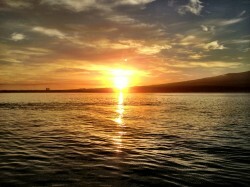 I had been told that i had to go Hawaii Deep Sea Fishing! To my Surprise it was one of the most enjoyable and memorial days of my life! 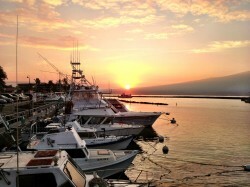 The Sunrise as we head out to go Deep Sea Fishing! We couldn’t have picked a better day. 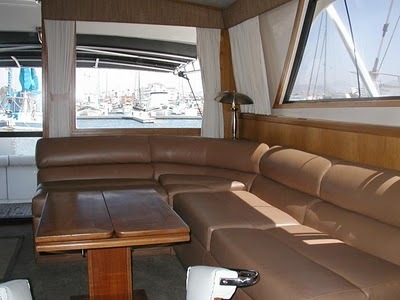 I had decided that if I was going to spend 6 hours on a boat, then I wanted to be comfortable! 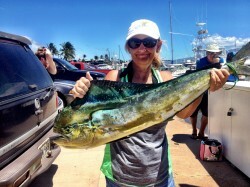 Hawaii Deep Sea Fishing with Rascal Fishing Charters. Rascal is a gorgeous 43 ft. Bertram Sport fishing Yacht. 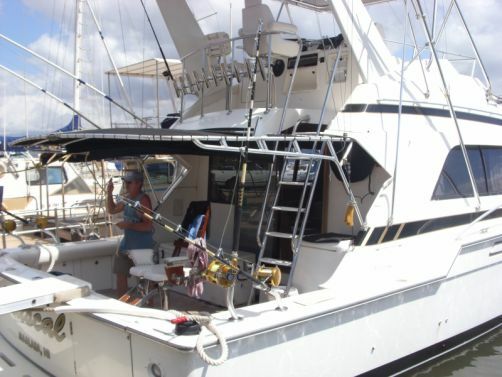 Spacious, clean, air conditioned cabin, Entertainment Center, Shaded Back Deck, & Top of the line equipment (Penn International Reels (gold); which all of the guys on board were impressed by! Ensconced in a leather wrap around couch in the spacious air conditioned cabin, my husband and I listened as the Captain went over everything we needed to know about our fishing tour. 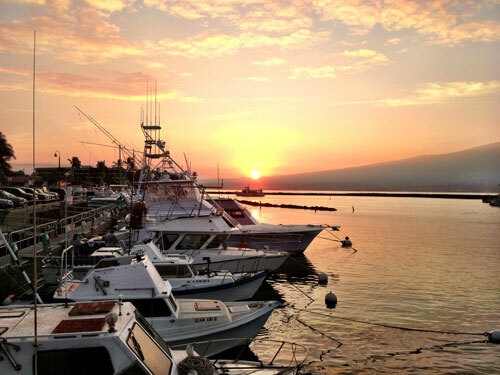 1 of the best Fishing Vessels in Hawaii! Most Fishing boats look like a “tackle shop” inside. We were each assigned a fishing pole & given instructions on how to reel a fish in. I went up deck to enjoy the views. When I was told my line was going off and hurrying down the stairs, there was the ‘zinging sound’ and another fish on! One of the other ladies on board reeled it in. I got in the ‘fighting chair’ and start reeling! It was a pretty good workout, and well worth it as i reeled in my first ever fish! 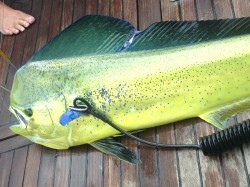 A beautiful Mahi Mahi (Dorado). look! I did it! 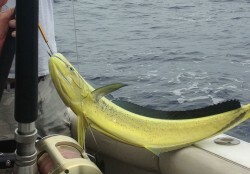 My first ever Mahi Mahi! 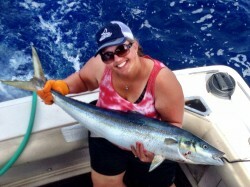 The day just kept getting better as one of the other ladies caught a nice size Ono (Wahoo). It was a ladies day for fishing; the guys did not catch anything. Although I think they all had a great time! It was so much fun and Rascal’s crew made it so easy and did everything possible to make my first deep sea fishing experience fun and enjoyable. 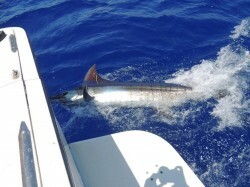 Now I can’t wait to go Marlin Fishing here in Hawaii, and catch a big Marlin! 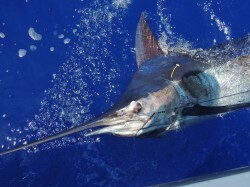 If you are looking to go Hawaii Deep Sea Fishing you can’t do better than Rascal Fishing Charters; from the Crew to the Boat, to the best Fishing in Hawaii! 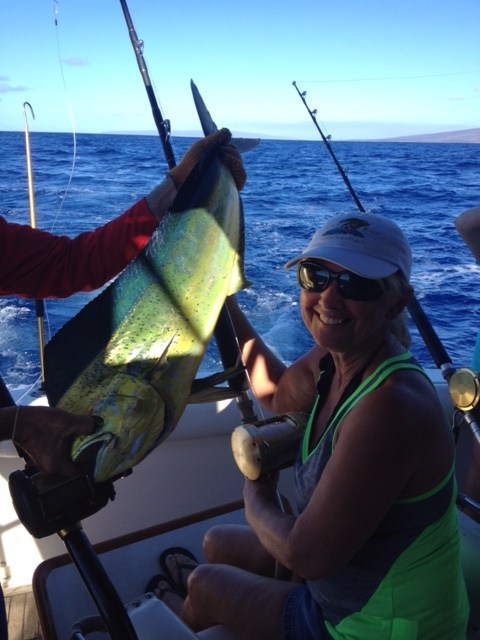 Call me (LuAnn) today for more Hawaii Deep Sea Fishing information and tickets for your next Deep Sea Fishing Excursion off Maui 808-879-6260.